Over 600 long distance specialists, mainly on racing bikes, appear at the start. In the end Theo only allows a German, an Irishman and four Italians, all on racing bikes, to finish before him.A remarkable achievement, because during ascending the rowingbike is somewhat slower than the racing bike. Theo’s just rode on during those three days, only stopping briefly for three hours of sleep during the second night. Paris-Brest-Paris 2003, by Theo Homan in less than 63 hours. 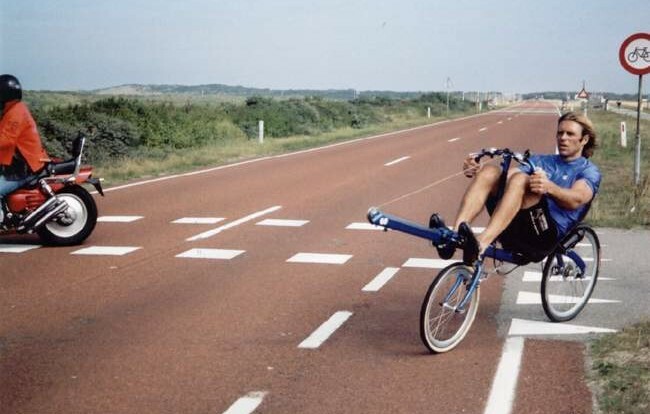 World record one hour fully faired: 77.123 km, rode by Bram Moens on October 1 1994 on the test track of the Rijksdienst voor het Wegverkeer near Lelystad, the Netherlands. Record wasn’t broken until July 1996. 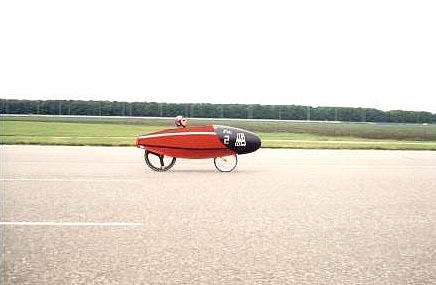 World record 100 kilometre gentlemen faired: 1 hour, 23 minutes and 46 seconds, rode by Bram Moens in September 1997, on the test track of the Rijksdienst voor het Wegverkeer near Lelystad, the Netherlands. World record 24 hour gentlemen faired: 1021.359 kilometres, rode by Axel Fehlau on May 5/6 1996. This record has not been improved up to now. 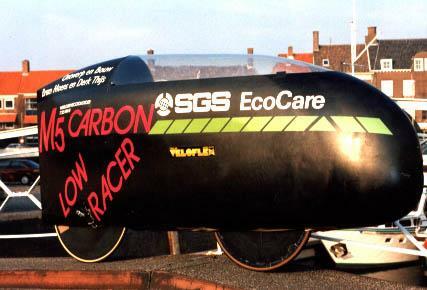 World record 12 hour gentlemen faired: 607.617 kilometres, rode by Axel Fehlau on April 14 1995. This record has not been improved up to now. World record 1000 kilometre gentlemen faired: 23 uur 21 minutes and 34 seconds, rode by Axel Fehlau on May 5/6 1995. This record has not been improved up to now. 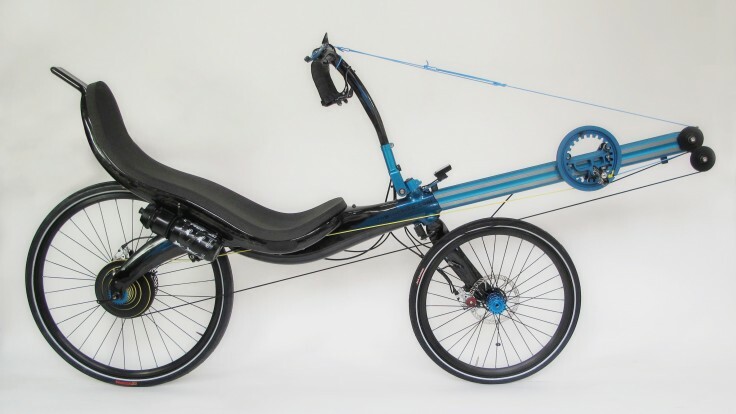 This very fast recumbent fairing, also designed and build by Derk Thijs and Bram Moens, unfortunately didn’t fully exploit its record potential. Only the 543 km long non-stop race from Trondheim to Oslo in 1997 was won by Bram Moens in 13 hours and 46 minutes. ‘Funny’ detail is that during the race, when it became apparent that Bram would be going to win the race by superior force, the official regulation was swiftly changed. The result being that the first place and the attached price money went to the first finishing conventional racing bicycle! Since Bram’s ‘recumbent victory’ recumbents are banned from the event.